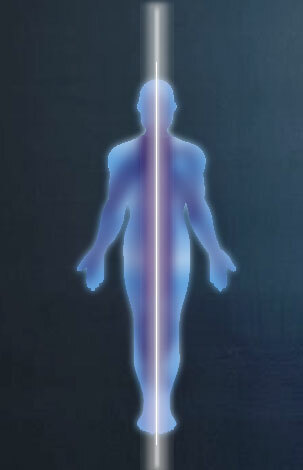 Core Body Therapy works with your Ultrasonic Core, located in the center of your body. The Ultrasonic Core is a term coined by Dr. Randolph Stone, the founder of Polarity Therapy, to describe the life-energy at the center of the body. Ultrasonic means above sound and he understood that our bodies are vibrating at a frequency that can’t be heard. The Ultrasonic Core is the space that runs through the center of our brain and the center of our spine, connecting us between heaven and earth. It is the place where our soul lives, the place from which our energetic essence emanates. When you attune, align and balance your Ultrasonic Core, it releases tension and trauma that’s built up in your tissue and helps every other system in your body work better.